Buying your Park Tickets for Tokyo Disney Resort is a bit confusing. I’ve made this comprehensive guide to take the confusion and stress out of the process. I’ll even give you tips on how to save money or whether or not an Annual Passport is worth considering. If you want to buy your tickets now, I recommend buying your tickets in advance through the Official Website, Voyagin, or Klook (all tickets are upgradable to multi-day tickets at the Park), see this section for more details. It’s the easiest way to buy them online. See my recommendation for discounted activities in Tokyo to save even more. 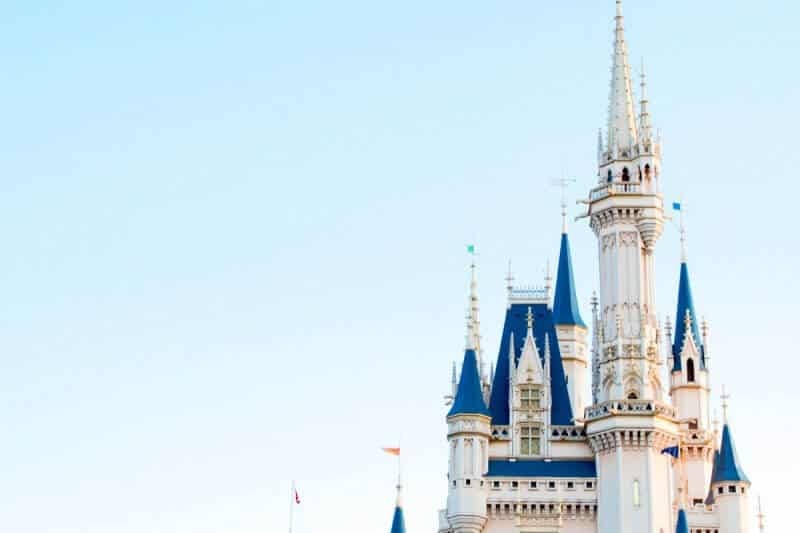 Plan your trip to Tokyo Disney Resort with our 200+ page e-book! It gives you everything you need to create the perfect vacation to Japan from start to finish. From a detailed breakdown of when to visit, how to get to/from the airport, and even professional created park maps. Get the travel guide that every Explorer traveling to Japan needs (also check our out e-book travel guide to Universal Studios Japan). 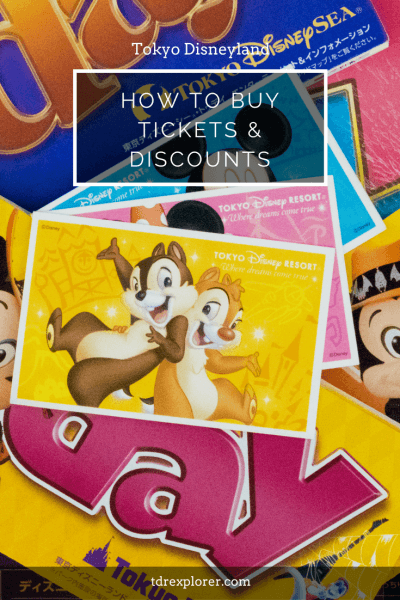 A quick note of how Park tickets work for Tokyo Disney Resort. Starlight Passports are for Park admission after 15:00 on Saturdays, Sundays, and National Holidays only. After 6 Passports are for Park admission after 18:00 on weekdays (excluding National Holidays). Check the Park operation calendar to see when these two cheaper tickets are offered. You can buy tickets on the same day right at the ticket booths. However, if the Parks are at capacity, they will suspend sales of tickets until a specified time (they post this information outside the parks). Check the crowd calendar to see predicted days the park may reach capacity. Cast members in both locations are very helpful and give service in English. One of the best perks of staying at the Disney Hotels or Tokyo Disney Resort Official Hotel is guaranteed park admission (even on capacity days). If you’re staying at the at a Disney Hotel (Disney Ambassador Hotel, Tokyo Disneyland Hotel, Hotel MiraCosta, & Tokyo Celebration Hotel), you can buy park tickets with your hotel reservation or at their ticket counters (cash or credit cards). Hotel guests at the Official Hotels (Hilton Tokyo Bay, Sheraton Grande Tokyo Bay Hotel, etc) are able to buy tickets at the ticket counters in the hotels (cash only). Guests staying at the Disney Hotels can buy a “Multi-Day Passport Special.” This allows visitors to Park hop on any day during their ticket, which is not available to regular ticket holders. These tickets are a ¥1,600 ($14 USD) difference to a normal ticket. See the official website for pricing and details. While it is up to you to decide if the “Multi-Day Passport Special” is worth the extra money, we do not recommend this if it is your first visit. There is much to see and experience at both parks and it takes about 20-30 minutes to Park hop on any given day. If your trip is short or you have visited in the past, then this is an excellent way to get the most out of your journey. If you get an “After 6 Passport” you can enjoy either Park in the evening and not pay full price! If you’re not looking to spend all day in the Parks, there are some options to cut your ticket price. Two discounted passports are available on select days. Check the Parks Operation Calendar to see when they are available. After 6 Passport: A discounted ticket for ¥4,200 ($37 USD) after 6 pm. It is available only on weekdays, except National Holidays. This is perfect if you wish to simply enjoy the Park and take in an evening show. Do not expect to ride many attractions or get FastPasses, unless the weather is not ideal. Starlight Passport: Enjoy one Park for ¥5,400 ($48 USD) after 3 pm. This ticket is only available on weekends and National Holidays. While not much of a discount, it is still cheaper than the average adult ticket of 6,900 yen. That’s one other adorable plush to put in your suitcase! Seasonal Discounted Tickets: Discounted tickets are sometimes available during the slower winter season. This is sometimes limited to residents in Japan. If you have a friend in Japan, ask them to buy tickets for you ahead of time. Discounts are not much and are usually around ¥700-800 (~$6-7 USD). ** Your card may or may not work so it’s best to have a backup credit card. This applies for both the reservation site and for using inside the Parks. If you’re unable to buy tickets through the official website then I recommend buying tickets through our trusted affiliates Klook or Voyagin. While these tickets aren’t discounted, both services accept all major credit cards and PayPal. We are affiliates of both Klook and Voyagin. Any tickets bought through links on our website give us a small commission. This helps us keep the website running and to continue bringing you the best content possible. Read our full disclosure for details. Any information given here is subject to change without notice. It’s always best to check directly on Klook and Voyagin’s websites. If you want to print your tickets then Voyagin is the way to go with the “Direct Entry Ticket”. You must print the tickets in advance. Using your phone or device with the ticket on it is not accepted. Keep in mind is that the “Direct Entry Tickets” are ¥8500 compared to ¥7400 for tickets bought from Tokyo Disney Resort or Klook. While there are coupon codes, they aren’t valid for Tokyo Disney Resort, unfortunately. This is ideal if you want to print your tickets ahead of time for peace of mind. These tickets are the same price as those bought through the official website. Use our discount code KLKTDREX and save $4 USD off your first order. Klook offers only physical tickets, which means you have to pick them up before your visit (then no need to wait at the ticket booths). 2-Park Annual Passport. You get to choose the design you want. Is it worth buying an annual passport? The short answer is no unless you plan on going to the parks for more than eight days. You also don’t get any notable perks, such as discounts on merchandise and hotel rooms. Anyone is able to buy an Annual Pass, regardless if you live in Japan or not. If you live outside Japan bring your Passport to complete the application (there’s English don’t worry). If you’re a resident of Japan then your Resident Card is valid to use. Keep in mind that all Annual Passports now have black-out dates. 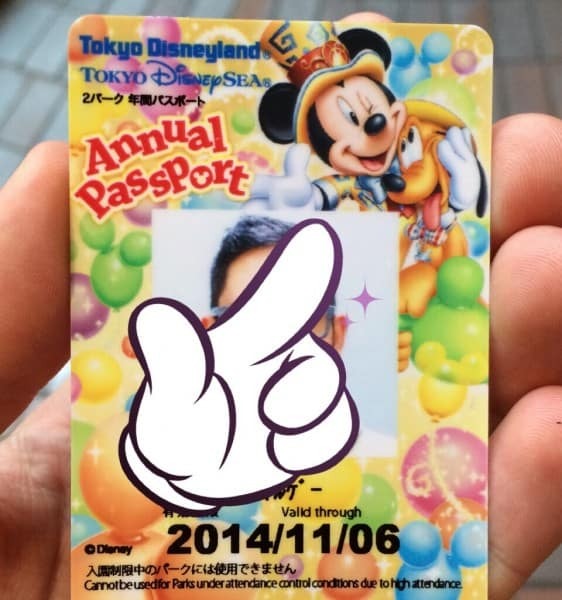 See the Official Tokyo Disney Resort website for full details on Annual Passports. Reduce the number of days on your multi-day passport. This is ¥200 for each day you reduce, with an extra ¥200 per ticket. If you buy a 1 to a 3-day passport, you can extend it to a maximum of 4 days. To do this, go to the Guest Relations Center in either Park or at the Ticketing Center in Ikispari. Your passport must still be valid to be extended. 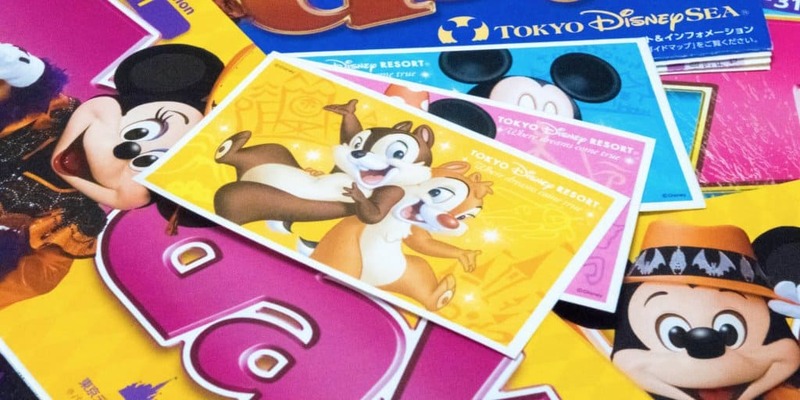 Tokyo Disney Resort has a lot of options when it comes to buying Park tickets. I hope that this guide has helped you take some of the stress and frustration out of deciding how to buy them. Great info! Would you consider adding a section on the ticket options for hotel guests? I get a ton of questions about this over on Disney Travel Babble, but I know the types and prices of hotel-guest tickets change, so I never have a good answer. That is a fantastic suggestion! Completely overlooked hotel tickets. It deserves a brief mention. I will look at adding it at a later date! Thank you. The only time you cannot get in with your 2-Park Annual Passport is when they stop ticket sales. So, if you are there before they do so you will be OK.
With the “Multi-Day Passport Special” for hotel guests, we can visit Land in the day, sit a few rides (I only want to take the Space Mountain and Star Tours actually! ), then visit Sea in the evening? We plan to be in Sea for whole of day 2. That is correct, you can go between the parks! Have a wonderful visit! If you have a dated ticket, you are guaranteed entry. No matter where you bought it. hi! in buying tickets online, and i enter my name, let’s just say, “Anne Christine Huang” it says “given name invalid” because i think it accepts one first name. So i entered Anne Huang instead. the problem is, my credit card says Anne Christine Huang. will it be a problem when i enter the park? If your payment goes through, then you will be fine! They give you original tickets at the Disney Store. The printed out versions are only the e-tickets, which are purchased online. Hi, about the hotel exclusive tickets – as it is my first time using those instead of the standard ones, I was wondering if I can already buy these in advance online via my “travel case”? They aren’t available via the normal online ticketing site that I’ve used in the past, and so far I haven’t found an option. I would feel more comfortable buying these in advance instead of at the hotel when we’re there, but as we are repeat visitors and only have a few days, I really think we would benefit from the park hopper option on all days. Thank you! You will have to login to your reservation and see if they are made available there. If not you will have to purchase them at the hotel. Please let us know how it works out! Thank you. Hi! My friends and I are planning to visit DL and DS on the exact days pictured in your 3-Day pass. Can you tell me how the crowds were and what to expect? Thanks so much. I couldn’t book the hotel exclusive tickets online. We decided to book the standard ones and will try to upgrade when we’re there. Thank you, I updated the link. Hello, your site is super helpful! Do you have any tips on how a US resident can purchase Tokyo Disney tickets online ahead of time? We are looking to visit the parks on dates that require Fixed-Date Tickets, but have not been able to purchase our tickets online because it seems like the site only accepts credit cards issued in Japan. Thank you! The English site accepts most credit cards from outside of Japan. Please check with your bank to make sure you can use it with the TDR website. 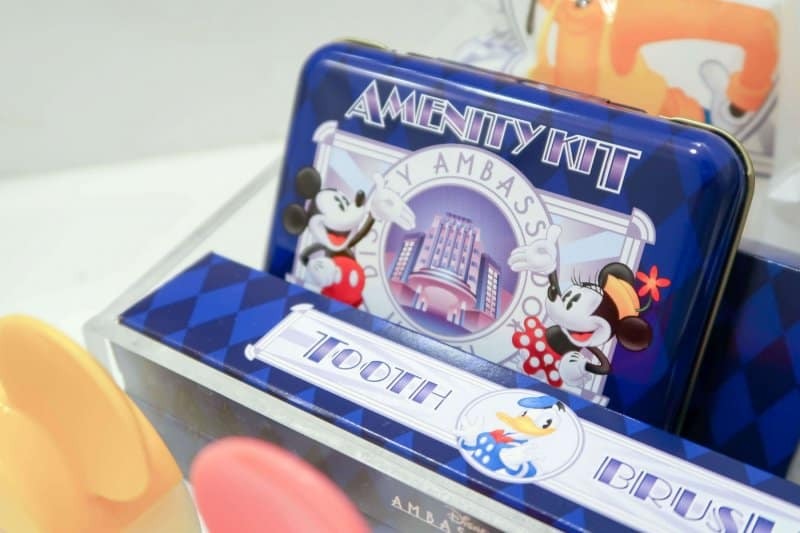 If you’re still not able to buy it online, then you can buy them at the Disney Store in Japan before you go. Hi, I just want to confirm for 2 day passport, is it the first day to enter one park, then the other park for the following day? Appreciate your reply and thank you in advance! You should be OK. I would phone the resort to ask them for sure. I’ve seen “birthday tickets” on the website! Do you have to have your birthday during your visit for that or can you celebrate after (especially being out of country)? I’ve heard they come with some merch. Birthday Passports are no longer offered as of 2016 April but instead, you can buy one-day passport with “birthday design” (online exclusive, I think and same price as the ordinary Passport) and the accompanied Birthday goodies in the park or at Bon Voyage for around ¥3500. Hope it helps. I will be visiting Tokyo Disneyland in December, and was thinking of purchasing tickets online. However will I be able to get an original ticket at disneyland itself? Or will I only have the e-tickets? Thank you in advance! Hi there, I am planning to take my 5 y/o daughter to Tokyo Disney on Christmas Day. I’ve been trying to book tickets online as I don’t want to risk missing out, but apparently they no longer accept non-Japanese credit cards for online bookings!!! I’ve tried asking a friend here (Australia) who is a travel agent, but booking through her will cost me $85AUD more than if I booked directly online!! Does anyone have any ideas/advice on how to book tickets from Australia without paying exorbitant extra fees?? Thanks for any help. Morning Janet (I saw your posts on our Facebook page, I will reply here to keep it in one place). You will have to contact your bank to see if they can issue this code to you to use on the site. Then try again. This is a service we have personally used and can vouch for (the link is an affiliate link). You can use PayPal as another method of payment. You buy your ticket and print it off and take it to the ticket gates. Or you can exchange your printed voucher (it must be printed) at any of the Ticket Booths for ¥200. This type of passport is no longer offered at the resort. They do sell the Birthday Merchandise in the stores, which anyone can buy at any time. You can take your e-voucher to a ticket booth or the ticket center and have it exchanged into a hard ticket for a ¥200 fee. Hi there, and thanks for the reply! So I’m not sure if the 3D authentication thing will make any difference. I’ll look into it though. I had a quick look at the “Klook” website, but it seems they are only offering 2-day passes, no 1-day passes. Mind you, their price for 2 days is the same as my travel agent friend could get for 1-day! Thanks again, I’ll keep exploring options. Another update. I’ve just spent the past hour on the phone to my bank and the Disney Tokyo Online Reservation help line. My bank said everything was fine with my card, and they could see the attempted transactions so it must have been declined by the vendor for some reason. So a phone call to Japan (with interpreter) led to the conclusion that non-Japanese visa cards are indeed not accepted for online bookings. How ridiculous!! However, they did say that I could book at a Disney store in Tokyo once we get there. It’s incredibly inconvenient as there aren’t any Disney stores anywhere near where we are staying, but seems like the best alternative at this point. I will be writing a complaint to Disney Tokyo once we get there!! What’s the point of an online booking system if international cards aren’t accepted?!?! See my post above re booking online – you may find it’s not possible! Thank you for the update. We will update our guide with this useful information. If I purchase a 2 day pass with Klook, am I able to extend it to a 3 day pass when I get to the park? Hi! Thank you for the helpful info!! I saw you mentioned about slow season and only people who reside in Japan can buy the ticket, do they have to buy straight to the ticket counter or they can buy it from Lawson, Family Mart, or online? Thank you!! Hi! We bought tickets online at the same time as a hotel booking, so we’ve got paper tickets (for a 3-day pass) we’d love to exchange for a hard printed pass. Is this still possible, and would the best place to do this be the ‘Guest Relations Window’ outside the entrance of the parks? With the Klook ticket, you can visit either park. You just are not able to park hop on the same day. If you need to modify anything, it is a ¥200 fee (as stated above). These discount tickets are at the convenience store typically. You have to check the deal to see what the details are. As mentioned above, you are able to exchange printed tickets for a hard ticket for a fee of ¥200 per ticket. I would do it ahead of time. If you are at a Disney Hotel, you can do it right there. Hi, can i know what does this mean, “2-Day Passport（Birthday Design”? Is it the same as the normal 2-Day Passport? We are planning to celebrate my niece birthday in Disneyland, so i was wondering whether does that Birthday Design is only applicable to her (going to be 6 years old soon) or we can all purchase the birthday design? Is there any difference with the 2-Day Passport? Hi, this might seem an odd question but if I buy a 3 day passport and go let’s say Thursday and Friday in the same week but then don’t want to go until the week after on a Wednesday. Is my ticket still valid or do I have to use the days consecutively? It’s just the design of the ticket, there’s nothing else different about it. You can ask to buy it for everyone, but they may charge you a ¥200 fee for doing so. You have to use the tickets consecutively, you can’t split the days. So you’ll have to buy a 2-day ticket then a 1-day ticket. Long time reader to DisneyTouristBlog and came across your website! Thinking of going to Tokyo Disney for 4 days in December and staying at Hilton Tokyo Bay. I was wondering if the hotels accept foreign issued credit cards for park tickets. Seems like a better way to buy them rather than dealing with the online rules about foreign credit cards since it’s guaranteed at the hotels anyways. Thank you and looking forward to reading much more! We purchased our DisneySea tickets online. We don’t have A4 paper as the instructions are to print on this size paper. Do you think 8 1/2 x 11 size would be okay? If I upgrade a 2 day ticket from Klook to a 3 day at the park would the 3rd day be a park hopper? Hey Aaron, thank you for reading! The hotels will take most credit cards. As long as you have the major ones like Visa and MasterCard. That’ll be fine, as long as the barcode is visible so you can scan it. The reason for the paper size is they give you instructions to fold is a specific way so it easily fits into the FastPass machines. You’ll just have to fold it a bit differently to get it to fit. I got my ticket at FamilyMart and was given an reservation, do I exchange it for the ticket at the Disney ticket booths? Hey there, I purchased my e-ticket off from klook and somehow there’s 3 QR code on the ticket, compared to the e-ticket issued by disney. The website did not offer any information to fold the e ticket at all and was now able to clarify if the e tickets issued by them can be used to redeem fast passes. Could u help with me queries please? Extremely disappointing since I thought they would be able to handle such issues. after all, it was a site recommended by u guys. Family Mart should give you printed tickets at the counter after you use the Kiosk. The tickets they give you are the ones you use to get into the park. Yes, you can use tickets from Klook for FastPasses and also the lottery shows. It works like a ticket you purchase from the official website. The 3 QR codes are all the same, and you can scan any of them to get into the park, get FastPasses, and use for lottery shows. As long as you can get the QR code read by the reader, you can fold it which ever way you prefer. I’ll pass on the information about the FastPasses to our contact at Klook, so they can clarify better on their end. Thank you so much for getting back, really appreciate it as well as the initiative to update Klook on the info u provided! Hello! Great info. I had a few questions that I was wondering if you know the answers to. 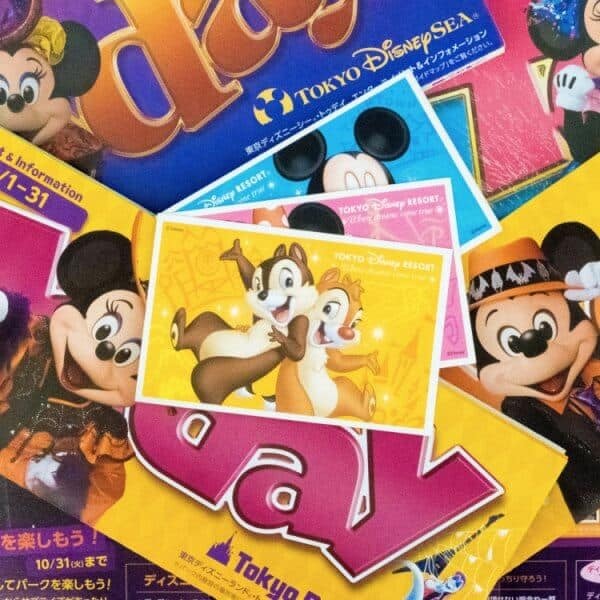 1) If I stay at value or deluxe Tokyo Disneyland hotel, I know that you can get the multi-Day Passport Special where I can park-hop starting the first day….can you just buy this for one day only? On the website it only showed 2 day or more passes. 2) If I buy a 2 day multi-day pass and stay at a non-Tokyo Disneyland hotel, do I have to use the ticket on 2 consecutive days? 1. This is a multi-day passport only, so you cannot get it a park hopper for 1-day. Hi, I’ve been doing extensive research on Disneyland and Disneysea and so far I think your page is the most helpful of all!! Quick question, I am planning to celebrate my birthday in Disneyland (finally I just recently decided after long days of thinking) and found that there is 1-Day Passport (Birthday Design) on the web. Will I get anything for my birthday using that pass? Hello, I have a question because we are going to tokyo next year (february) and we would like to go to Disney Sea. I saw that we can buy tickets at disney store like shibuya. Can we buy the ticket and use it the day after or another day ? We want to buy the tickets the day before our visit to disney sea. We are visiting Tokyo DisneySea on or around July 11th. We are on the fence wether we should stay in our Airbnb in Shinjuku or double book and stay near Disney the night prior. Should it be an issue getting into the park should we arrive an hour or two after park opening? We are slightly concerned with the long transit getting to the parks as well as the possibility of not being admitted because of the possibility that the park might be to capacity. This possibility also scares us away from wanting to pre-purchase tickets as well. We can still cancel the Shinjuku hotel but must do so by today. We could rebook and do our entire 4 night Tokyo stay near Disney instead. We need to stay in Shinjuku for at least one night because we have a tour leaving at 6:45am from Keio Plaza Hotel one day. So we’d need to double book a hotel over near there one night regardless. We wanted a “home base” to avoid dragging luggage around and moving, etc. Thank you for any advice that can be offered! You don’t receive anything, it’s just a special design on your e-ticket. It’s easy getting to the park from Shinjuku by train (takes about an hour) or you can take the Highway Bus from the Bus Terminal from Shinjuku Station which takes about 40 minutes. It’s special events when the park closes early and it’s invite only. Just pay attention to the park hours, if the park closes early then you’ll know there is a special event happening. My husband and I purchased tickets from Klook (lastnight) for Disneysea the night before the day we were expected to go (which was today) but we never made it to Disneysea because we were only sent a summary order and no tickets/etickets or any vouchers. We checked our bank account and the money has been taken out. We have tried to call customer service and email the support email provided and no response. I was hoping to get a response today so we can get the tickets for tomorrow. This is very disappointing hope someone can help. Hello! Was this the 2-day ticket? The website indicates that it takes up to 2 business days to issue the ticket (a one-day ticket is instant). You can buy a one-day ticket and upgrade it to a 2-day ticket once you are at the park. Klook should be able to issue you a refund for the 2-day ticket. I hope this helps. Just want to clarify that if I can upgrade the Klook 2 day ticket to a 3 day once at the park that then the 3rd day would be a park hopper day? Hi! I just purchased 1 day pass ticket this morning using Pay Pal. The website says INSTANT CONFIRMATION but I dint receive anything except for this message bellow after the purchased. Do I need to wait or I start to worry. Thank you for traveling with Klook! Your booking confirmation had been placed on hold as our Payment Gateway is carrying out further verification. This extra step is taken to ensure the safety of your account. We will be in touch within 24 hours. For any urgent matters, please contact us: email [email protected] or phone +852-3462-6208. Since we are just an affiliate, you will have to contact Klook directly. thank you. I do send email yesterday but unfortunately they are asking for more information. Klook false advertisement ” INSTANT CONFIRMATION” is not good. Im still waiting fro the confirmation and e-ticket hopefully they will send it today. How much does it cost to upgrade from a 2 day pass to a 3 day pass? It’s the difference between the prices of the two tickets. Your third day is a park hopper day. Hi! I would like to ask if you can help me with this. I am planning to buy disney ticket now. My son is 11 years old but will be 12 during the day we will be in disney. 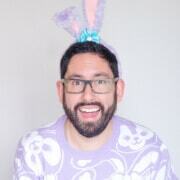 What ticket should i buy for him? Thank you. Hello, I’ll be visiting from Canada and found your website super helpful! I’ll be going in the first week of September and noticed during the weekdays that there are no After 6 passports, but “Natsu 5” passports – are these similar and can non-residents buy these as well? Can I buy these in advance or do I have to buy them at the park? Thanks! Hi, may I know if I can upgrade the 2 day pass purchased from klook to 3 day pass? I have posted this question to klook but they told me they can’t guarantee that. Is there a 2day senior passport? 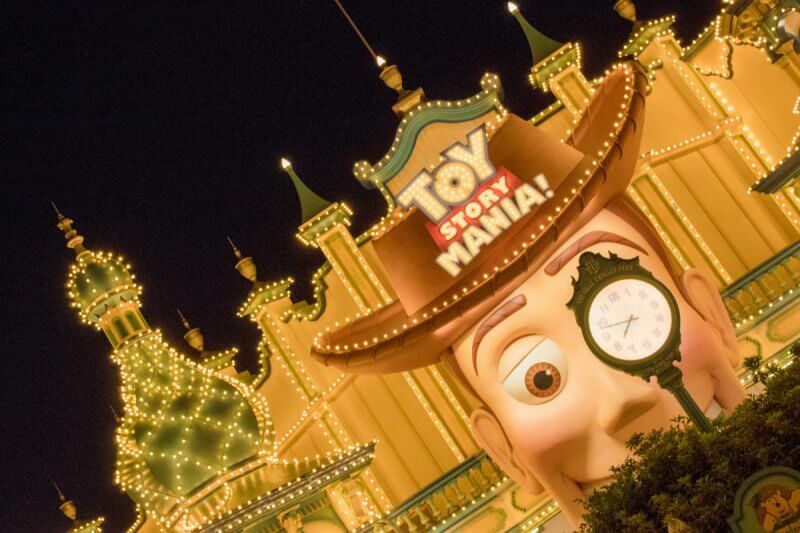 Your blog is so helpful in planning tokyo disney! I have been once before and planning to go again thanks to your site. Quick question, do you know why klook’s e-tickets are only valid until April 30, 2018? Do you know if they will extend that at some point? I’d much rather buy on klook (using your discount code!) than trying to buy it at the Disney store in shibuya. Thanks! Can we buy 2 day ticket and then extend to 3 days ? If so how do I do? Hey there, just a heads up, Sheraton Grande Tokyo Bay does accept credit card for purchasing park tickets now. Not sure about the rest. Hey just wanna ask. If I bought the tickets using a credit card, will they check the tickets with the credit cards used ti buy the tickets at the entrance. can’t I just have a screenshot on my phone or do I need to print out the ticket on paper? Unless you buy an e-ticket right through the official app (only in Japanese), all other tickets must be printed. They won’t accept screenshots. Can tickets bought from klook be exchange for the hard printed tickets at the guest relation center? Or only tickets bought from official website? What if tickets on klook are sold out? Are they known to restock later? I was trying to buy 2 day pass for 14 and 15 February 2019. I thought I should wait for 15 February as they didn’t show up in the date yet. But turns out I forgot that it is consecutive days therefore buying 14 gets you 14 and 15? I am Australian over 65 yrs. Am I entitled to a discount to enter Disneyworld? Thankyou. If I book Disney hotel and purchase 1day Park. Ticket through the official website, will I entitle to get the FASTPASS? Hi! I was wondering if I buy a 2 day passport can I use it for Tokyo Sea both days or must I go to Disneyland and Tokyo sea the next day? Thanks so much for your help!